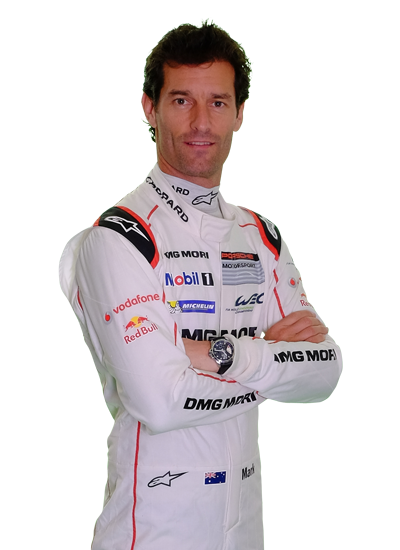 Porsche Team took a memorable 1-2 finish on home soil at the Nurburgring today as the No.17 Porsche 919 Hybrid car claimed a maiden win for Mark Webber, Timo Bernhard and Brendon Hartley. It was the second consecutive WEC win for Porsche after its Le Mans triumph in June. A bumper 62,000 crowd enjoyed three days of excellent WEC action on the first ever visit to Germany. The fans could not have gone home happier as Porsche took not only a 1-2 overall, but also victory and second place in the LMGTE Pro class. The win for Webber, Hartley and Bernhard today means they are now just 17 points behind Silverstone and Spa victors Lotterer, Fassler and Treluyer in the fight for the 2015 FIA World Endurance Driver’s Championship standings. The No.17 Porsche 919 Hybrid fought back from a long early pit stop, after having to replace its front bodywork. After this unscheduled stop, the Australian-German-New Zealand trio of drivers stamped their authority on the race and capitalised after the sister No.18 Porsche 919 Hybrid of Marc Lieb, Neel Jani and Romain Dumas lost time when three penalties had to be served for exceeding the fuel allowance on the car. An engine sensor that controls the fuel flow had failed on the No.18 Porsche 919 Hybrid. After the first, five-second stop/go penalty, Marc Lieb engaged in a close side-by-side fight with Webber, which briefly saw the cars touching at turn two. However, the two longer penalties, 30-seconds and 60-seconds respectively, meant that any chance of victory was all but lost. The No.18 Porsche recovery drive saw exceptional stints from Neel Jani and Marc Lieb in the final hours. Jani took part in a thrilling battle with both of the Audi R18 etron quattro’s in the final hour, as he attempted to climb up in to second position. The fight ultimately got resolved at the final pit stop, and from there Marc Lieb was able to ward off any threat from Lucas Di Grassi in the No.8 Audi R18 etron quattro and Andre Lotterer in the No.7 machine. Lotterer found a way by Di Grassi for third place in the final moments of the race, and so maintained the No.7 crew’s 100% podium record in 2015. Toyota Racing finished its home race in fifth and sixth positions after a clean run to the chequered flag. The reigning champions – Anthony Davidson, Kazuki Nakajima and Sebastien Buemi in the No.1 Toyota TS 040 headed home the No.2 crew of Stephane Sarrazin, Alex Wurz and Mike Conway. The ByKolles finished as the leading LMP1 privateer with Pierre Kaffer and Simon Trummer completing the CLM P1/01’s most competitive weekend to date. The AER powered LMP1 car took over at the front of the privateer class early on after both Rebellion Racing cars hit trouble. The ByKolles car even recovered from losing its rear wing on the main straight to finish the race in 18th position overall. The No.12 Rebellion R-One claimed second in the class but was delayed after stopping on track during the second hour. The Hong Kong-entered team scored a second win in as many races to extend its title leads in the drivers' and teams' title fight. Nick Tandy initially opened up a healthy gap over the chasing G-Drive Racing Ligier-Nissan entries, but the lead was temporarily lost after the second scheduled stops. Matt Howson was able to chase down Roman Rusinov’s No.26 G-Drive Racing Ligier-Nissan and pulled off a conclusive move into the first corner, before working on regaining another gap. Further excellent stints from Richard Bradley and another from Tandy at the end, wrapped up the maximum points again and extended their LMP2 title lead to 15 points. G-Drive Racing didn’t have an answer to the KCMG ORECA05-Nissan’s pace today but still claimed a fine double podium position. Rusinov, Canal and Bird were 71 seconds adrift in second place, while Derani, Yacaman and Gonzalez scored their third podium of the season after a spirited race, which saw Derani pull off one of the moves of the race when he overtook Nelson Panciatici’s Signatech Alpine at turn two. The fifth round of the World Endurance Championship will take place on 19th September at the Circuit of the Americas in Austin, Texas.